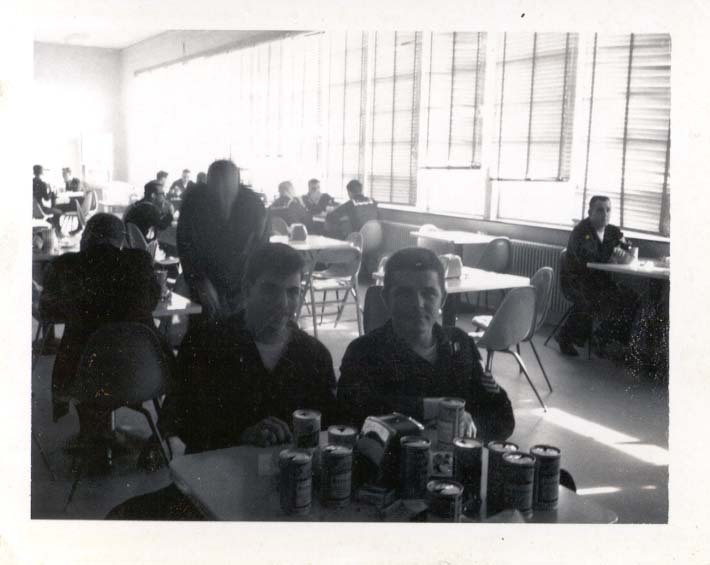 This photograph of Paul Houdart, RM-1 (L) and Gene Spinelli, ETR-3, was taken at the Enlisted Men's Club at Newport, Rhode Island. 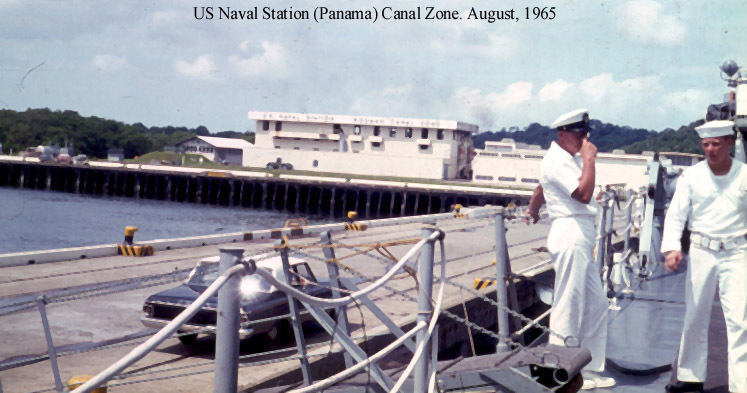 Can't recall when it was taken, but it had to be between July-August 1965, or May-August, 1966. 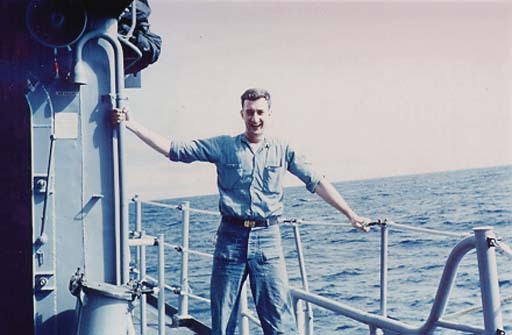 Bob Suttle, at sea. 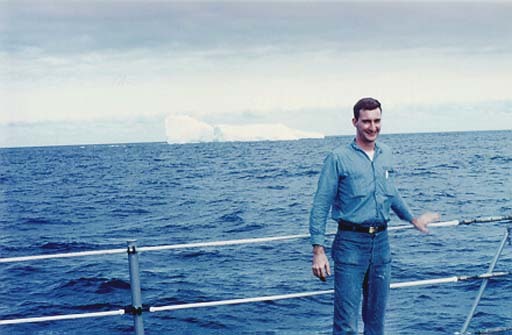 Interesting picture, Bob is holding on with both hands. 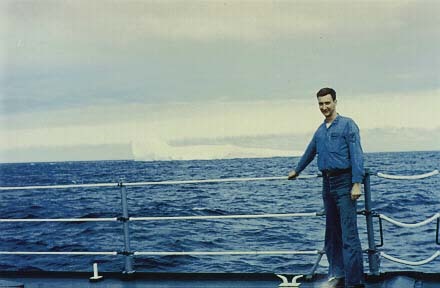 and the ship is tilted with respect the horizon. 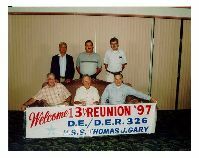 5 of the 6 people in this 1997 Thomas J. Gary reunion photo also served on the USS Calcaterra, Deep Freeze 65-66. L- R (standing) Ens. 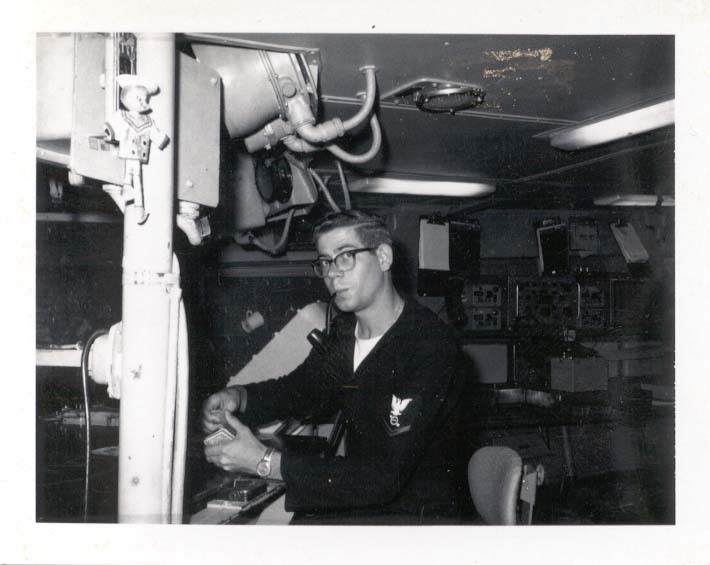 Fred Smallwood, Alan Baker AG-3, John Phillips AG-2,. 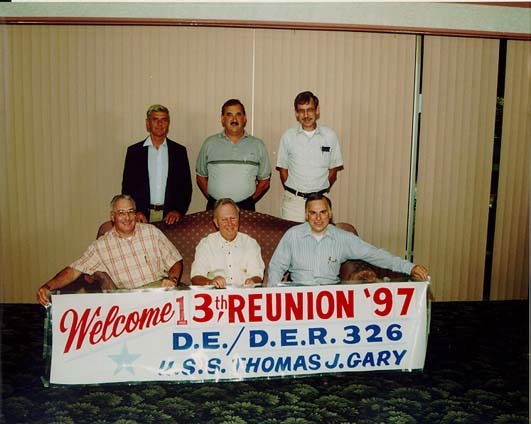 Sitting L-R Ron Day (Gary only) Skip Amoroson EM-3, Gene Spinelli ETR-3.